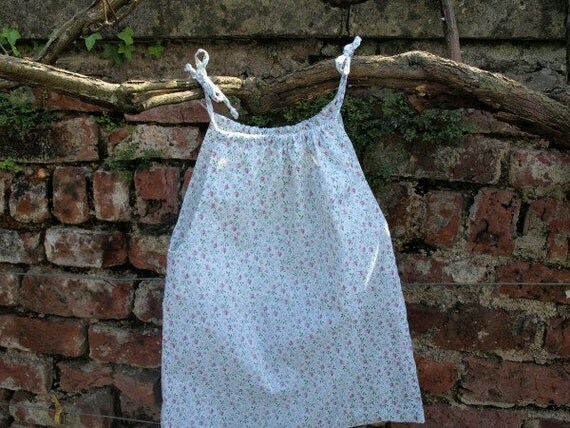 This little Liberty Lawn fabric sundress was handmade by me. It also comes with a little hair scrunchie in the same 'Rosy' fabric. The adjustable straps enable it to grow with your child. It be worn both as a dress and then as a top with jeans or leggings as your little one grows. If a a different size is required, just drop me a line and I'd be happy to oblige. Any procedes from my sales help toward the cost of hyperbaric oxygen therapy for my little girl who has Down's and cerebral palsy.